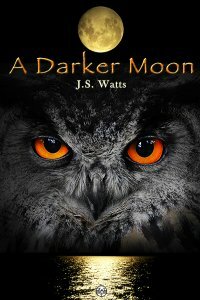 Bemiown of Night Owl Reviews reviews A Darker Moon here. 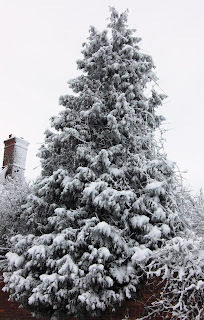 SEASONS GREETINGS AND ALL THE BEST FOR 2013! J.S.Watts' latest guest blogs include her personal take on the horror genre and reflections on the myths referenced within her new novel, "A Darker Moon". What a Nice Review for A Darker Moon! Minding Spot reviews A Darker Moon and there's a chance to win a free e-book version of the novel! "a new twist on the Adam and Cain story, but it's a fresh and interesting take ... very thought-provoking. Watts has a knack of writing just the right words that I was entranced, pages flying by, I was so immersed in the story. So, if you're looking for a new author to try, or you like mythological fantasy, pick up A Darker Moon! It's well worth every cent!" J.S.Watts will be one of many poets celebrating Stony Stratford's Christmas Lights Switch-On on Saturday, 1st December. Come and listen to her read in Stony Stratford Library at 1.50pm and stay to soak up the poetry vibe for the whole afternoon (or enjoy the rest of Stony Stratford's seasonal extravaganza). J.S.Watts is interviewed by "Jess Resides Here"
J.S. 's guest blog on "Reading With Anacrasia" on the subject of "Writing Mythically"
"Peace, Love, Books" interviews J.S. and reviews "A Darker Moon", describing it as "an interesting spin on the Cain and Abel story" and coming up with an original definiton of Literary Fiction as "thinking type stories". To celebrate the publication of her first novel, "A Darker Moon", J.S.Watts has been writing a number of guest blogs and been interviewed by assorted bloggers and websites. 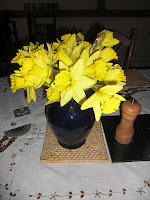 Here is the first bumper crop of blogs. 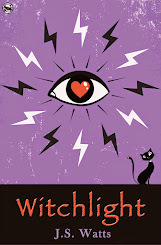 Read on if you want to know about book cover art, J.S. herself and the importance of location in J.S. 's writing. It's A Cover Up - J.S.Watts' guest author post on "The Book Diva's Reads"
Location, Location, Location - J.S.Watts' guest blog on "Rita Reviews"
This October, from Vagabondage Press, A Darker Moon - a novel by J.S.Watts. A dark, psychological fantasy. A mythical tale of light and shadow and the unlit places where it is best not to shine even the dimmest light. In Britain, it's National Poetry Day and what better way to celebrate than with the launch of a brand new poetry and arts magazine, A New Ulster? Click here to browse the magazine, which includes five new poems by J.S.Watts. A Darker Moon will soon be rising. Beginning with an exclusive preview at Royston Arts Festival on Saturday, 29th September at 2pm (see earlier post for further details of Story Time). 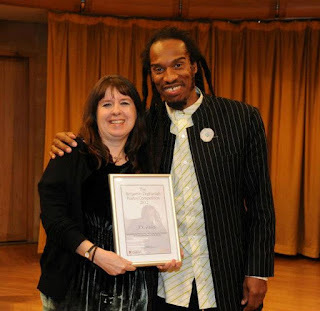 J.S.Watts was last Sunday's guest on Headstand, the music and spoken word radio programme hosted by Patrick Widdess on local radio station Cambridge 105FM. 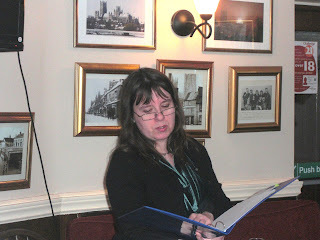 "Songs of Steelyard Sue" is Luton Poetry Society's Book of The Month for September 2012. 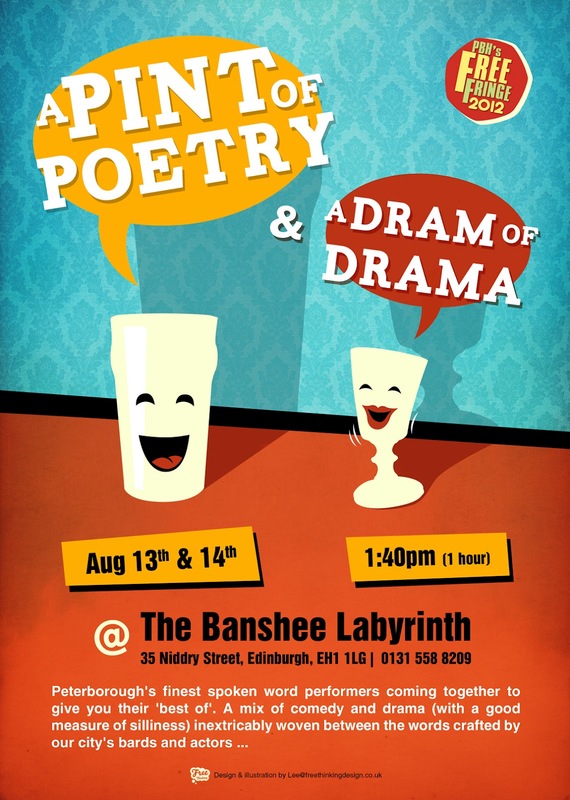 A review of the Edinburgh Fringe Festival show "A Pint of Poetry and a Dram of Drama" praises the highlights of the show as "the most memorable poems I’ve seen so far this month – and I’ve been to see two sets of published poets perform their work." The review goes on to pick out four "poets I’d happily watch for a full hour-long show" including "Tim Goodings and his poem ‘Massive Beard’ about the most beardy of beards he one day plans to grow; a poet in a fabulous waistcoat whose name I didn’t catch (it was Mike Alderson - Ed.) who invited the audience to share his love of Tinkerbell; J.S. Watts, the group’s only published poet, with her surreal and funny poems about the ‘mechanoid female’ scrapyard Sue; and Mark Grist, Peterborough’s poet laureate ... and his ‘love poem’ to Peterborough, warts and all." The new pamphlet-sized poetry sequence by J.S.Watts, "Songs of Steelyard Sue" (published by Lapwing Publications) has been launched to a fanfare of clanking, rusty metal. The poems narrate the life and times of a future-world everyman, or, more accurately, everyrobot, the titular Steelyard Sue, living out her existence on an Earth turned rubbish heap. Like life, the poems are a mixture of the funny and the sad, raucous and contemplative, light and dark. Readers of Mslexia will already be familiar with one of the poems, "Steelyard Sue Plants a Garden", but there are many others to intrigue, entertain and give you cause to think. Songs of Steelyard Sue by J.S.Watts (ISBN 9781909252028) is published by Lapwing Publications, rrp £10.00. For further details about how and where to buy a copy of "Songs of Steelyard Sue" check out the Publications page. Polu Texni Publishes "Steelyard Sue Wants A Man"
The intriguing Polu Texni Magazine has published "Steelyard Sue Wants a Man" by J.S.Watts. This slightly raunchy poem is from J.S.Watts' forthcoming SF flavoured poetry pamphlet "Songs of Steelyard Sue". So, if you want a free sneeky peek at one of the poems from the new pamphlet click here. J.S.Watts will be appearing at the Edinburgh Fringe on Monday, 13th August. Please see the Events listing for further details. Coming soon, from Lapwing Publications, Songs of Steelyard Sue, a pamphlet-sized poetry sequence by J.S.Watts. The life and times of an everyman/everywoman/every robot - the titular Steelyard Sue. The Literary Ely Blog, written by the talented Leanne Moden and published by Cambs 24, features an interview with J.S.Watts and discusses her first poetry collection Cats and Other Myths, her writing inspirations and being a writer living and working in Cambridgeshire. 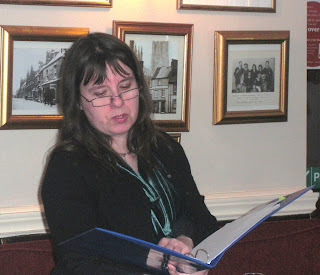 To read the interview click here and remember to keep an eye on Leanne's future posts to read news, events, reviews and articles on the literary happenings in and around Ely and Cambridge. The events for the 2012 Royston Arts Festival have been announced on the Festival website. The theme for this year's programme is "About Time" and J.S.Watts will be reading three of her published short stories on the theme of time, across three days in Festival week (Wednesday, Friday and Saturday), with a special sneak preview of her forthcoming novel "A Darker Moon" at the Saturday reading. 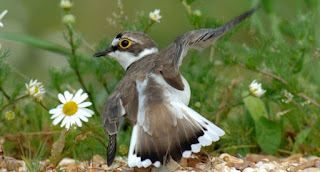 The insightful Leanne Moden has blogged on the forthcoming poetry event at The Wildfowl and Wetlands Centre at Welney. Check it out at Cambs 24 News and call back on a regular basis to read Leanne's views on other literary happenings in and around Ely and Cambridge. 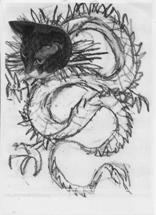 Cats and Other Myths, the debut poetry collection from J.S.Watts, is Luton Poetry Society's Book of The Month for June 2012. It maybe Pimms and Poetry on Wednesday 20th June, but before then it's strawberry time, Strawberry Fair time, to be precise. Cambridge's very own Strawberry Fair makes its annual return to Midsummer Common on Saturday, 2nd June. During the day, The Mad Hatters Stage (on The Village Green) and Peddling Words (in The Green Area) will be hosting an awesome collection of talented spoken word artists including, to name but a few: Vikki Laxton-Bass, Jessie Durrant, Mal Content, Hollie McNish, Magic Phil, Fay Roberts and J.S.Watts. Adnission to Strawberry Fair is FREE. Strawberry Fair, Midsummer Common, Cambridge. Now that summer is here (for a while at least), thoughts gravitate towards treats like strawberries and Pimms (well mine do, anyway). So it is a great pleasure to announce the Pimms and Poetry Evening at Welney Wildfowl and Wetland Trust Centre on Wednesday, 20th June 2012. This is a rare opportunity to enjoy listening, glass of Pimms in hand, to four local poets reading their work against the beautiful backdrop of the Ouse Washes. The poets in question are J.S.Watts, Janet Fairweather, Leanne Moden and Elaine Ewart. The event, which starts at 5.30pm with J.S.Watts, is free, but admission to the Wildfowl and Wetland Trust Centre is not. Through this event, the trust hopes to raise funds for nocturnal survey equipment. Readings and events are regularly being added to the 2012 Events Schedule with further details to be announced over the summer months. This summer and autumn J.S.Watts will be reading from her poetry and short stories and there is going to be a special sneak preview of her forthcoming novel, A Darker Moon. So if you are interested in seeing and hearing J.S. read live, keep checking the Events Schedule for further updates. 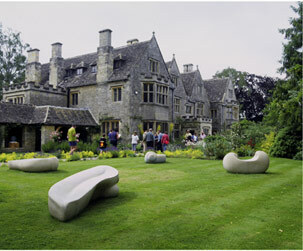 Curated by the wonderfully innovative eight cuts gallery, on Saturday, 14th July 2012, between 12pm and 6pm, there will be a series of poetry installations scattered around the grounds of the historic Asthall Manor in Burford, Oxfordshire. Enriching the on form sculpture exhibiton set within the gardens and ballroom of Asthall Manor, five poets, including J.S.Watts, will be reading and performing for visitors to the exhibition. For further information see the Events Page of this website, or the on form events page. The poetry is free, but there is a fee for visiting the exhibition and you can't hear the poetry without entering the exhibition. The five poets participating in this event, in alphabetical order, are: Verity Heir, Dan Holloway, Sarah Snell-Pym, Clare Waters and J.S.Watts. There are many wonderful literary events being held this summer and J.S.Watts is delighted to be reading at a number of those in the East of England and some a little way further west. As details are finalised, full event listings will be published on the Events page of this website. In the meantime, why not check out the Oundle Fringe Festival website to see this year's line up so far and yes, it does include J.S.Watts. As part of April's NaPoWriMo, Jennifer Bogart is using her blog "Remember Newvember" to host a poet a day. You've never seen so many poets in one place before. They come in all shapes, sizes and writing styles. Check them out. 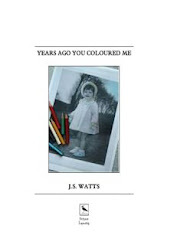 J.S.Watts will be featured on Wednesday, 11th April 2012. 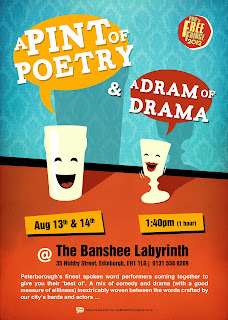 "A Pint of Poetry" is now even bigger and better! It will be starting two hours earlier than advertised at approximately 7.30pm and will still be running hot at 9.30pm when it was originally scheduled to start. That means an extra two hours of open mic and randomly wonderful poetry, including The Guardian fantastic and video viral, Mark Grist. See you in The Cellar Bar at Stamford Arts Centre. 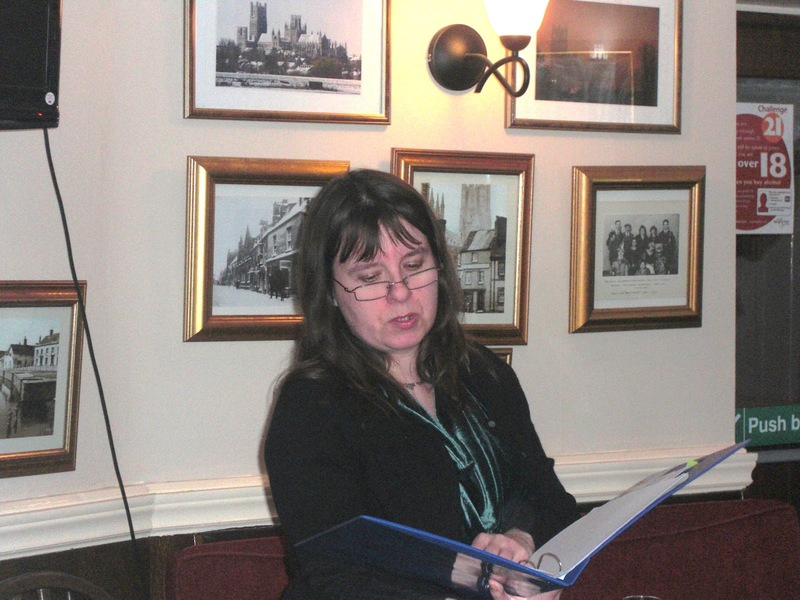 On Saturday, 31st March Peterborough based " A Pint of Poetry and A Dash of Drama" will be taking their eclectic open mic evening to the Cellar Bar of Stamford Arts Centre from 9.30pm until late (11pm or later) as part of Verse 2012, Stamford Poetry Festival. J.S.Watts will be amongst the poets reading on the night. So if you want to hear JS read, or you just fancy a pint with your poetry, come on down to the Cellar Bar a little before 9.30pm. The 2012 River Rhymes, Ely Poetry Festival was a marvellous event. It was so good it's being held again next year from 14th -17th March 2013 (provisional dates). Put next year's dates in your diary now and keep upto date with River Rhymes' news via the River Rhymes website. Audience members can leave submissions to be considered for the event anthology published in June 2012. J.S.Watts will be performing at the Milk Maid Folk Club on Friday, 3rd February 2012 as part of Local Singers' Night. She will be doing a twenty minute reading from Cats and Other Myths. So if you like your folk music mixed with poetry and a good pint, you could do worse than come along to The Constitutional Club, 12 Guildhall Street, Bury St Edmunds, Suffolk sometime between 7.30pm (when doors open) and 8.00pm (when it all kicks off). Hot off the press news - J.S.Watts' first novel, A Darker Moon (working title), is due to be published this autumn by the U.S. publisher Vagabondage Press. 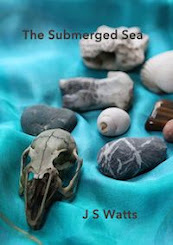 Further details of the book, which is literary fiction with a mythic edge, will be posted over the coming months. Check back regularly for further updates.